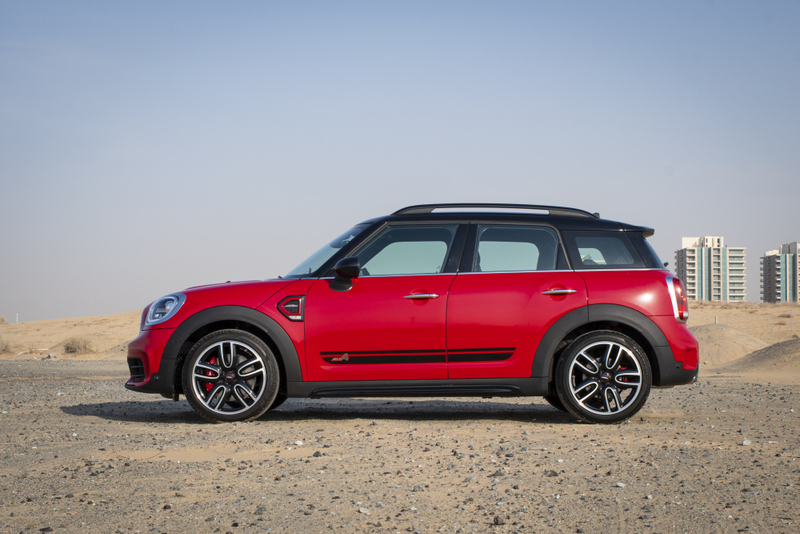 The Mini brand has changed massively since the 1960’s and the idea of a small, cheap car to move the masses- Getting behind the wheel of the 2nd generation Mini Countryman ‘John Cooper Works’, you realize how much has changed! First things first, this car is not in any way Mini. It’s a proper crossover with loads of room in the back and a huge boot to chuck all your stuff in. In fact, the second generation Countryman is around 25 cm longer than the previous version and about 5 cms wider. The Mini range is now all about style, fashion and youthful exuberance, so perfect for 20-somethings, hip parents and anyone looking to be a little different to the many small SUVs currently on the market. 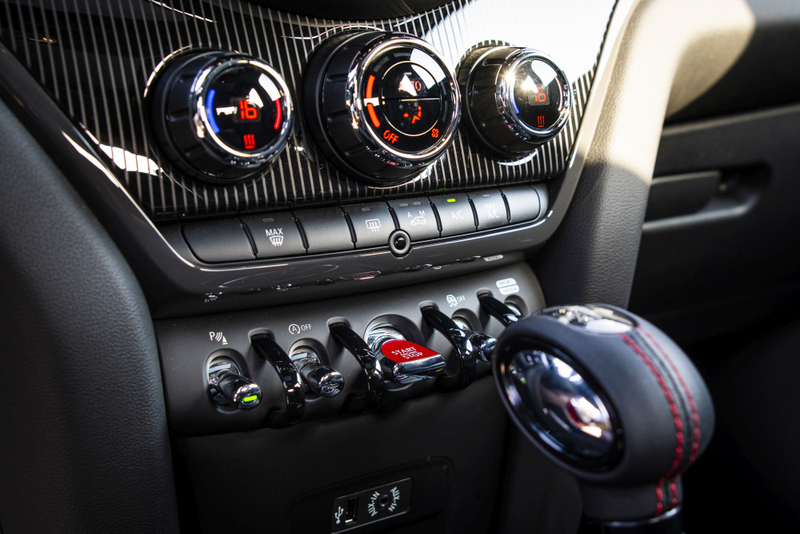 The JCW version comes with a four-cylinder 2.0 litre Turbocharged engine and a 6-speed auto transmission with paddle shift. 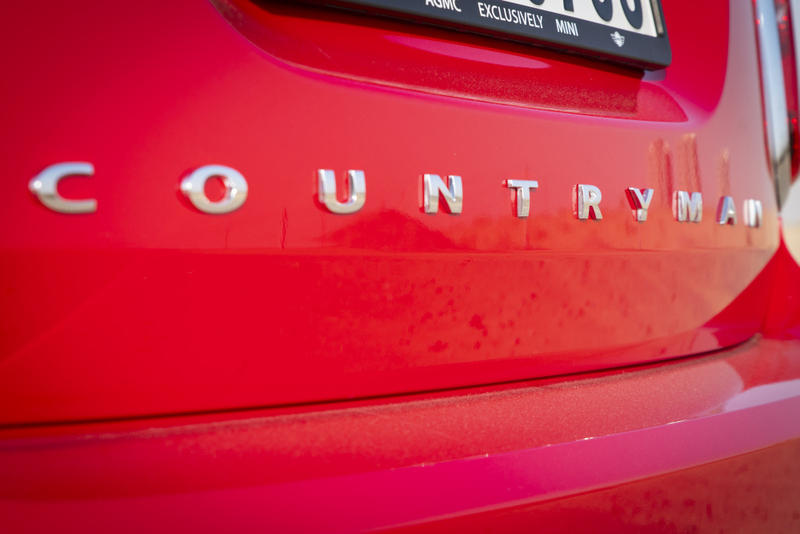 The base model Countryman comes with a smaller 1.5 litre three-cylinder turbocharged engine. 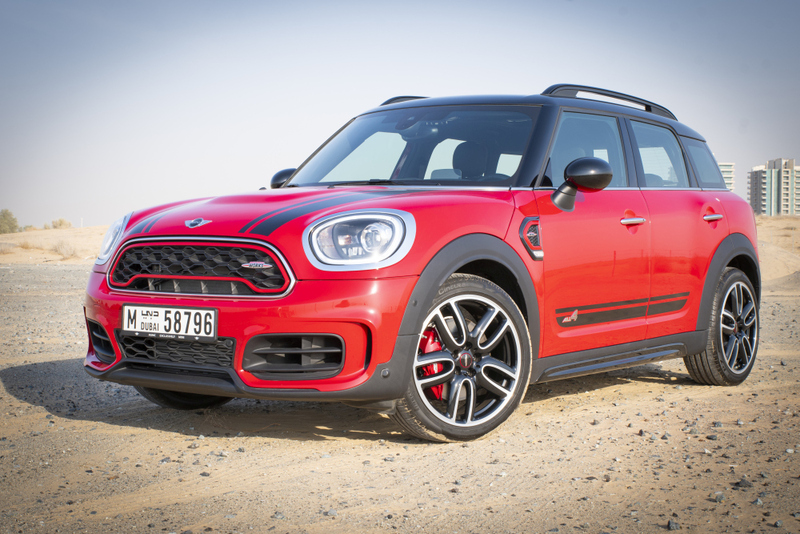 Price wise the Countryman range starts from 180,600 AED (US$ 49,000), but this Cooper Works version will set you back a whopping 233,000 AED (US$ 63,400). For your money you do get some pretty neat kit in the Mini. The infotainment system is vast and there’s a seemingly endless array of ways to stay connected in here. There’s also loads of charging ports to keep your gadgets running. The interior still has a few nods to the original car with the bank of small switches in the centre and the large round gauge in the middle. There’s also loads of room in the back as well, enough for four adults to easily sit for a long journey. Performance wise it’s very similar to the smaller Minis, but of course with a higher centre of gravity. It’ll sprint from 0-100 kmph in just 6.5 seconds. But it’s the mid-range power that’s the most impressive. It’s also got great brakes and suspension. Yes, there’s some body roll, but not enough to upset the car. For a small SUV it’s pretty lively. As far as competition is concerned, the Countryman is up against the likes of Audi’s Q2, the Mercedes GLA, BMW’s X1 and lower down the order the Jeep Renegade, Nissan Juke and the Fiat 500X. Perhaps the biggest question is ‘is it a Mini’. The answer is yes and no. It’s not ‘mini’ in the official sense, but this is where the Mini brand has gone and customers seem to like it. 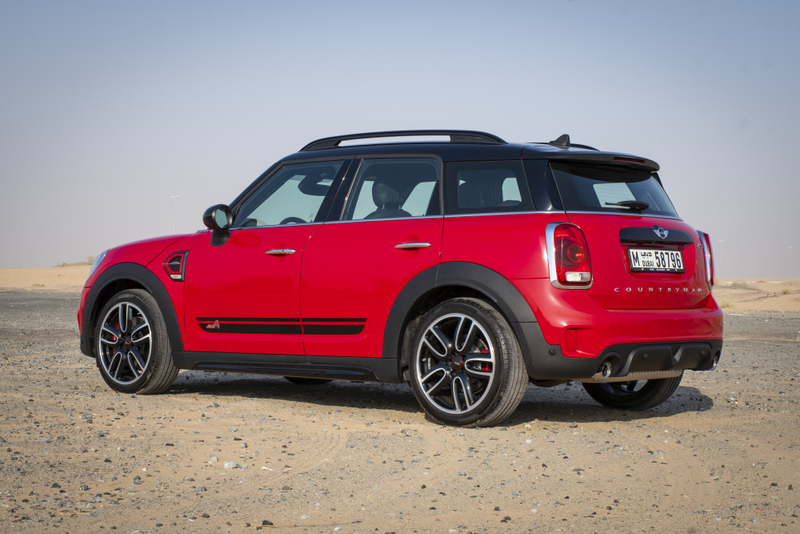 The Countryman has been a big seller for the company, so in that regard it’s a runaway success. 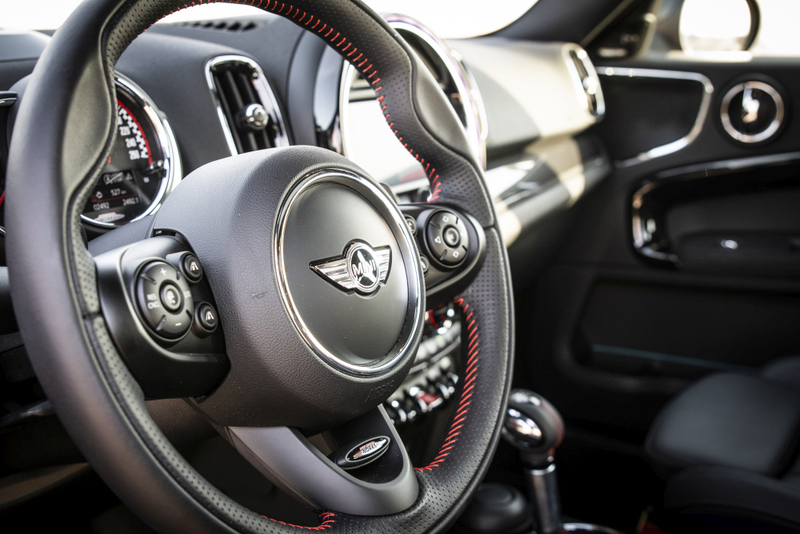 Brands need to evolve to follow market trends and Mini has done just that. 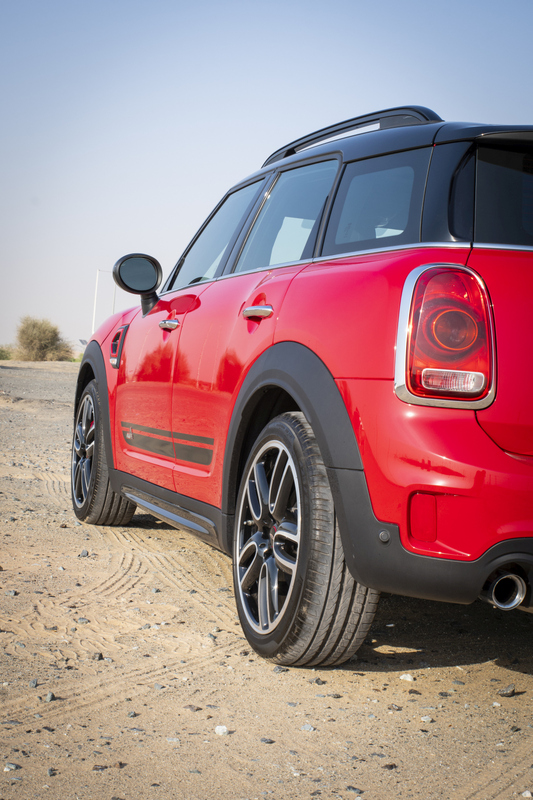 For us the Countryman is the next chapter in the amazing Mini story.